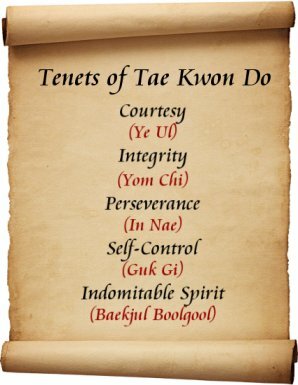 The Tenets of Tae Kwon Do should be recited aloud at the beginning and end of every class. It is important that students know these are not merely words but the characteristics one must possess if he/she is to ever become a true student of the Art. 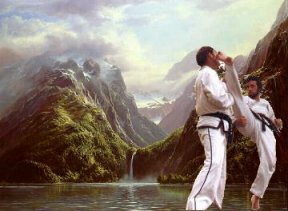 The Tenets of Tae Kwon Do go to the very roots of the Art, that of the positive development of the total individual. A person who is both a positive influence on those around him/her and the community. Copyright © 1974- James S. Benko and ITA Institute.